There have been two major challenges to copyright in recent years–the first technological, the second constitutional. What I’d like to do today is outline just a few general observations putting these technological and constitutional considerations into historical perspective. I’m going to be brief, taking no more than twenty minutes, so that there will be plenty of time for questions to follow up on the issues that are of most concern to you. First, let’s look at the technological challenge. Many people claim that “the Internet changes everything.” You can’t regulate the Internet, we’re told. The Internet was designed to withstand nuclear attack. The Internet treats censorship or regulation as a malfunction, or damage to the system, and simply routes around it, we’re told. Two-hundred-year old systems of copyright and the interests that they protect are obsolete, we’re told. Well, that’s just not true. I wrote my book, The Illustrated Story of Copyright, precisely to put the Internet into historical context. The story of copyright in the twentieth century has been the story of constant adaptation to technology. In separate chapters, I review how copyright has adapted to technology in the fields of books and other literary works (in the face of the modern photocopier); music (in the face of sound recordings, radio, and analog and digital copiers); movies (in the face of television and analog and digital recorders); the computer; and the Internet. To take just the example of music, Congress has adapted the copyright law by first adding music to the types of works protected by copyright (in 1831); by extending public performance rights to music (in 1897); and by extending musical copyrights to cover mechanical reproductions of sound (under a novel compulsory license in 1909). In the 1930s courts interpreted existing copyright law to cover the performance of music on radio (currently covered by ASCAP licenses). Sound recordings were added as separate subjects of copyright (in 1972). And various amendments were passed in the last two decades to cover the digitization of music in CDs and on computers–the Home Recording Act of 1992, the Digital Performance Rights in Sound Recordings Act of 1995, and the Digital Millennium Copyright Act of 1998 (the “DMCA”). We’ve heard the cries of “revolution” before. When the radio was introduced in the 1930s, people predicted the end of sound recordings. And they were pretty much right, at least in the short run. During the depression, as radio sales penetrated from 2 out of 5 homes in 1931, to 4 out of 5 homes in 1938, record sales plummeted from about $75 million in 1929 to a low of $5 million in 1933, and made only a partial recovery to $26 million by 1938. The same thing happened to movies when television was introduced in the 1940s. As Samuel Goldwyn quipped, “Why would anybody pay to see a bad picture in the theater when they can see it at home for free?” In 1946, only ten thousand television sets had been sold; by 1951, there were twelve million sets in American homes. During that same period, total movie company profits plummeted from what was then an all-time high of $120 million in 1946, to only $31 million in 1951. And yet in both cases, the producers of records and movies were eventually able to figure out how to develop products that people wanted to hear and see, and they learned to coexist with the new technologies. My assumption, perhaps a bit optimistic, is that the Internet will certainly have an impact on the existing channels of distribution for records and movies, but that the industries will ultimately find a way to thrive alongside the new technology of the Internet. Despite my criticisms, the public domain literature has spread like wildfire in the intervening decade. Professors (many of them with backgrounds in constitutional law, or computers and technology, or no background in law whatsoever) have been lining up to become members of the club. What does this development have to do with the technological challenge we discussed earlier? The interesting thing about the technological challenge is that both sides think they’ve lost the battle. The copyright owners see nothing but “slippage” of their control, as piracy thrives on the Internet, and the copyright owners are practically helpless to stop it. And yet, many of the “public domain” advocates are just as upset. They view the continual expansions of copyright as Congressional kowtowing to the powerful copyright lobbies. They see these expansions as straying from some presumed ideal balance that represented copyright two hundred years ago. Their primary criticism is of the Digital Millennium Copyright Act, which they view as undermining some of the careful balances of traditional copyright law, like the idea-expression dichotomy or the fair use doctrine. They fear, and probably have some grounds for fearing, that the new technology under the DMCA will lock up copyrighted works more effectively than any copyright laws of the last two hundred years. The case that brings the public domain agenda to the Supreme Court, however, does not involve the DMCA, nor does it involve new technology. Instead, the case is Eldred v. Ashcroft, in which the D.C. Circuit Court of Appeals held that the copyright term extension act of 1998 was constitutional. The Supreme Court granted certiorari to hear the case in its next term, and now there are many copyright owners and copyright lawyers who are going hysterical. Why would the Court take the case if it didn’t contemplate reversing the D.C. Circuit, or making some pronouncement that might alter the “public domain” agenda on a variety of fronts? One of the problems in the case is that the D.C. Circuit was probably too dismissive of the arguments of the plaintiffs. I cringed when I read the opinion, because it contained some statements that make the case ripe for review. For example, the circuit court concluded that the preamble to the Constitution's copyright clause (granting Congress the power "To promote the Progress of Science and useful Arts, by securing" exclusive rights "for limited Times") "is not a substantive limit on Congress' legislative power." The court goes on to conclude that "copyrights are categorically immune from challenges under the First Amendment" because of the idea/expression dichotomy, the fair use doctrine and other limiting principles that already factor in the constitutional considerations. These extreme views oversimplify complicated issues. The petitioners in the Eldred case were thus able to frame the issue as whether or not it was reversible error to foreclose attacks on a copyright statute based upon the First Amendment or the preamble to the copyright clause. If that’s the issue, then I’m afraid the case may be reversible. There certainly might be, in the future, or in some other context, a copyright statute that would violate First Amendment rights. But the issue is not whether there might be some future case, involving the DMCA or some other statute, that might raise problems under the preamble or the First Amendment; the issue is whether it was constitutional for Congress to pass the copyright term extension act that it passed in 1998. That act extended the term of future copyrights from life of the author plus 50 years to life of the author plus 70 years, and the term of existing copyrights from 75 years to 95 years. The appellants particularly question whether it was appropriate for Congress to extend existing copyrights. Their novel theory is that Congress should not be able to extend the term of existing copyrights because such extensions don’t result in the creation of any new works. Of course, in each prior extension of the copyright term, in 1831, 1909, and 1976, Congress also extended the terms of existing as well as future copyrights. The 1976 extension was a prerequisite for the United States’ joining the Berne Union in 1988; if that extension is unconstitutional, then it will probably get the United States kicked out of Berne, a result that I doubt the Supreme Court would want to produce. While the 1998 term extension was not absolutely required by international agreement, the extension was designed to match the term recently adopted in the European Union. If the United States didn’t match the life-plus-70-year term, then the European Union countries would not be required to grant the extra 20 years to United States authors. In any event, whether the 1998 term extension was wise or unwise, it would be incredible if Congress were foreclosed from considering the international implications of copyright as it passed United States copyright law. Whatever constitutional test the Supreme Court deems appropriate, I’m fairly confident that the 1998 term extension act meets that test. So, as I see it, the real controversy is not whether the 1998 statute is constitutional–I believe it is, and I believe the Supreme Court will hold that it is. I think the real jockeying for position is to frame the issues that will help to decide a range of other controversies on the “public domain” agenda, particularly the appropriateness of the Digital Millennium Copyright Act. The public domain advocates must be delighted at this opportunity to present their arguments in the very public forum of the Supreme Court. Fine. I also believe it’s a great opportunity to tell the remarkable success story of copyright over its 212 year history. The “public domain” agenda assumes that the public interest is served only when copyrighted works go into the public domain. That’s an oversimplification of copyright that is worse than the D.C. Circuit’s. The copyright statute is a careful balance between the rights of copyright owners and copyright users. The idea-expression, fact-expression, and works of utility doctrines assure that the public has access to ideas, facts, and utilitarian aspects of works. 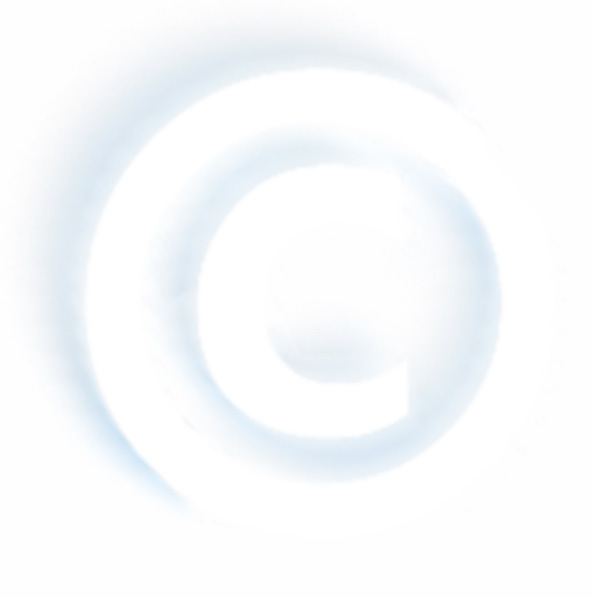 The fair use doctrine assures availability of works for parody and scholarly uses. There are dozens of other limitations, exceptions, and compulsory licenses that balance the rights of the various parties. The 1998 copyright term extension was very much influenced by international considerations, and it’s appropriate that the United States law should be. And even within the 1998 statute, the extension was part of a compromise that also resulted in the limitation of certain rights of copyright owners, primarily the musical performance rights organizations. So call me an optimist, but I don’t think it’s yet time for copyright owners to panic. It’s actually possible that the Supreme Court will come up with a resolution of the case that is reasonable and that gives appropriate deference to the careful Congressional balance that is the copyright act today.